This Leader's Guide sets out how to make the most of each study in the Growing Young Disciples series. Growing Young Disciples is written for younger teens and aims to present the non-Christian and young Christian alike with what it means to follow Jesus. Each study has application questions to see if group members have understood what God has taught them. This Leader's Guide sets out how to make the most of each study in the series. Living a life of faith - flat out! brilliant for our youth group - ages S1 - S3. Gets the young people looking at the bible for answers. Clear and to the point. Only negative is that the book sometimes assumes that the young people are from a church background. I find the format very user friendly. I like the way it goes through the lesson question by question, and underlines what we are supposed to be getting across each time. We're just finishing the first book of the series with our young people. They've really benefited from the clear, concise teaching, and are eager to get on with the studies. We'll be continuing the series. The only slight drawback is a few differences between the leaders book and study books, but on the whole I would recommend this series. This program is a very helpful tool, especially for those new to leading groups of young teens. It helpfully lays out the direction to take the study but gives sufficient room for you to be creative and tailor aspects to suit your group. It also provides a framework for leaders to be challenged about the direction they are taking their kids and highlights the significance of thinking through an over all goal for your kids. It was particular helpful in keeping leaders focused on the fact it was God at work in their kids and brought them to seek his guidance and help through prayer. 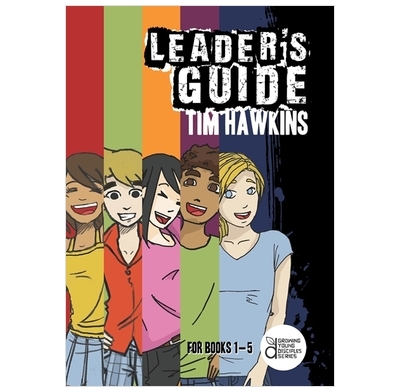 The layouts of the student guides lead to great discussions and the layout for the leaders guide was clear and easy to follow. Well worth the small investment. I found this to be easy to use! a Good Resource for teaching young teens the basic christian knowledge. A great step-by-step resource for your youth group. Our group has benefited from the guidance given when working through the growing young disciples series. This is a great guide for use with the growing Young Disciples series. We've been using it very successfully with our 11's to 14's. The leaders appreciate the clear lead from session to session and have found the material helps open up inquiring young minds and hearts. I have used both 'Discovering Jesus' and 'First Steps'(Books 1 and 2 in the series) with a mixed group of 10-14 year-olds, some just finding out about Christ, others already with their own faith. Looking up the verses exposes everyone to what the Bible actually says about being a Christian and the practical application sections are very down-to-earth. I've found it very helpful and enjoyable, and a platform for wider discussions.